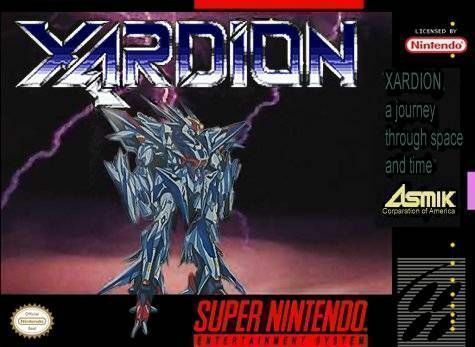 Xardion for Super Nintendo is a shooter featuring three alien robots. Defeating enemies earns the active robot points that will gradually increase its life and ammo gauges as well as unlock new special techniques. Each robot can also acquire and store power-ups to use whenever the need arises. Featured items include missiles, time bombs, health, ammo, and the ability to save at any point. Eliminate threats on four planets and a spaceship, spanning a total of nine levels, to save the galaxy and win the game.